Because the Thrillium longsleeve Bike Jersey is cut loose from Dakine, it is particularly suitable for mountain bikers and freeriders. The material Dakine has chosen so that it dries quickly when it gets really tough times and does not stick to the skin. Moreover, it is in all directions stretchable and the sleeves cut so that the arms have full freedom of movement. A big advantage when the trails are challenging! Also a plus: Polygiene® - because this Technolgie prevent foul odors. The jersey is easy to clean, does not have so often are washed and stays longer in shape. 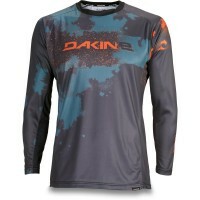 This Dakine cycling jersey is cut a little, so that protectors can be worn underneath. 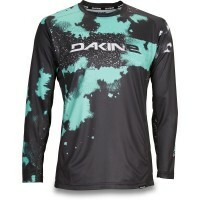 Customer evaluation for "Dakine Thrillium L/S Bike Jersey Team Aggy Black"